Roland Inness is a peasant boy with an unusual talent—and a secret. He has learned the art of making a longbow and the skill to use it with deadly accuracy. Why must this be kept hidden? The Normans rule England with their armored knights and a well-aimed longbow can pierce that armor. Possession of the weapon is a hanging offense and when Roland takes the wrong deer on the wrong Lord’s land he has to flee for his life. 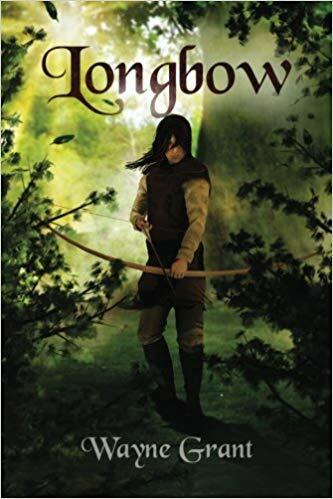 A mix of history, myth and high adventure, Longbow follows the journey of Roland Inness as he seeks to find a place for himself in a restive kingdom and become a man in a brutal age. It is the first book in The Saga of Roland Inness. The Saga is a story of courage, loyalty, honor and treachery. Most of all, it is a story of high adventure set in a time so filled with drama it has spawned legends that fascinate people to this day. It is the time of Richard the Lionheart, Robin Hood, Eleanor of Aquitaine and William Marshall, legendary figures all–some real and some fictional. The first four books in the saga—Longbow, Warbow, The Broken Realm and The Ransomed Crown tell the coming-of-age story of the young archer amid the bloody struggle for the crown of England. A Prince of Wales, the fifth in the series, follows Roland Inness as he leads the legendary Invalid Company into Wales to help Llywelyn the Great win a throne. The sixth book in the series, set in Ireland, will be released in late 2018.